WASHINGTON, DC. – A heavily armed man claiming to be Jesus allegedly plotted to kidnap one of the Obama family’s dogs and has been arrested, U.S. media and officials said. Scott Stockert, 49, was arrested at a Washington hotel Wednesday after Secret Service agents found unregistered firearms in his truck, together with hundreds of rounds of ammunition, a machete and a club, NBC Washington said, citing authorities in the U.S. capital. Agents went to the hotel after getting a “be on the lookout” alert from the Secret Service’s Minnesota field office about the alleged kidnapping plan, NBC said. 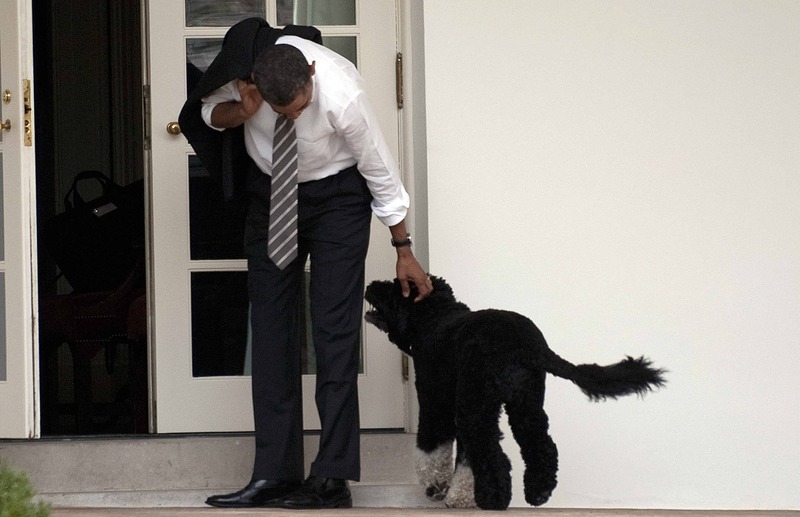 It quoted the Secret Service as saying that Stockert, from North Dakota, allegedly planned to take Bo, one of the two Portuguese water dogs owned by President Barack Obama and the first family. Court documents show that Stockert was released on Friday to a “high-intensity supervision program” and ordered not to possess any firearms or other dangerous weapons, either real or imitation. He was charged with possession of an unregistered firearm and ordered to stay away from the White House and the Capitol. As well as claiming to be Jesus, Stockert told agents that his parents were John F. Kennedy and Marilyn Monroe, NBC said, citing court papers.